If you tell them about cars, they think of chewing gum. If you talk to them about dinner, they think of heel balm. In short, they force-fit thoughts that may have no connection to each other. But what’s a cartoonist got to do with the opening paragraphs of your article? When you think about it, most of us get stuck while writing introductions. What are you thinking of right now? Sure, “tomatoes in a small space.” Which is fine to start, but it’s plain and boring. How can you find an enticing angle to fascinate readers? As you likely already know, your article is only part information — the other part is entertainment. An analogy or story helps wake up readers and attract them to your writing. They add surprises we don’t expect. A surprising outlook grabs our attention — and keeps that attention. 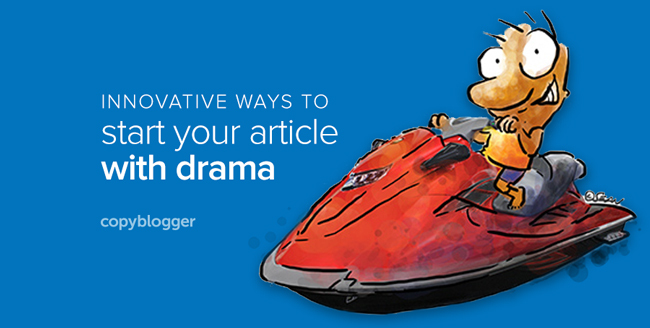 In a world where everyone starts articles the same boring way, you have a chance to stand out. Instead of yet another drab opening to your article, think a bit creatively — a bit like cartoonists do. And as a cartoonist/writer, here’s my advice on how you go about creating a perky start to your article. Now, “malware and computers” are related. So again, what are you thinking of? “Malware and computers,” right? Or you might go a bit further and think of a virus attack, or a break-in, or monsters. All of those ideas, however, are terribly predictable. How do you work your way around this dilemma? It doesn’t matter what room you’re in, just look around. Let me help you get started by looking around my workspace, so you can see how I’m going about this exercise. Hmm, there’s a kiwi bird figurine sitting on my desk. What’s that got to do with malware? Kiwis possibly had some kind of attack that nearly wiped them out. In fact, they did. Unlike other birds in New Zealand, kiwis are flightless, so dogs and cats that people keep as pets have threatened the species. You have an opportunity to draw a comparison between a threat to the kiwi population and the threat that malware poses on computers. That’s the first method. Let’s look at the second. There’s a skinny bottle of habanero (that’s a really, really hot chili pepper) sauce staring back at me. I can probably tolerate a small amount of it, but if I consume too much, that’s malware down my throat. It seems that malware can represent more than just malware — it’s rocky times, it’s grotty stuff. So I can dig into my past. When did I have “malware?” How about that pesky kid that hit my head with a hammer as I got off the school bus? That’s a good story. Or how about the time I had to sit at a boring job for six months, doing nothing at all. My brain was rotting. And when I got sacked, I was free. I felt free of the malware. Since we’re buzzing with all these concepts, let’s look at one more non-boring article-starter method. Ah, that’s malware. And it’s spreading, even getting worse. We could tweak that story, find out more about the cause of the unemployment, and have a great opening to an article, report, book, or presentation. So, should you completely stay away from anything obviously related to malware? No, you can talk about the time you had such a bad cold you felt you were going to die. Or you could describe the worst or the most short-lived malware attacks. Or the first-ever documented attack. These simple approaches may work for you. But, the most obvious approach is often the most boring. The force-fitting helps your brain make a connection that’s fascinating. And the more you do it, the better you get at it. Until one day, your desk, your computer, your newspaper, and your very brain becomes an endless universe of inspiration. Illustration courtesy of Sean D’Souza.